I attend a megachurch, these days. When I get to church on Sunday, I walk through a huge courtyard filled with information tables and fountains and numerous coffee stations. Oh, and people. Lots of people. Most weeks, I feel like I’ve walked into a mall. I didn’t intend to start going to a church with six campuses and thousands of attendees every weekend. I prefer smaller congregations and more liturgy in the service. However, the people I’m closest to right now go to this megachurch and, after some thought, I chose to go with them. I’m a Christian because I believe in Jesus, not pews or specific liturgical readings. At its core, Christianity is about participating in the Kingdom of Heaven. This confused me because I’ve also heard other statistics, about how millennials are gravitating toward more liturgical churches. Jake Meador, editor-in-chief of the Mere Orthodoxy journal, observes that younger evangelicals “long for a more historically informed liturgy, a greater emphasis on the sacraments and a more integrated understanding of Christian faith.” I’ve seen the truth of this borne out in the lives of many of my peers. But, then again, many people are gravitating towards the megachurches of mainstream evangelicalism. So what’s up? Maybe the explanation is as simple as this: the Church is in a time of transition. Which brings us to today, the 21st Century, with 1500 individual denominations in America alone and widespread disagreement about what Christian worship, lifestyle and theology should look like. Many Christians have thrown up their hands in frustration or anger and backed away from their faith, preferring disassociation to the confusion within Christianity. And so the most hopeful thing to believe is that Christians are finding substance and passion for their faith in a variety of places. 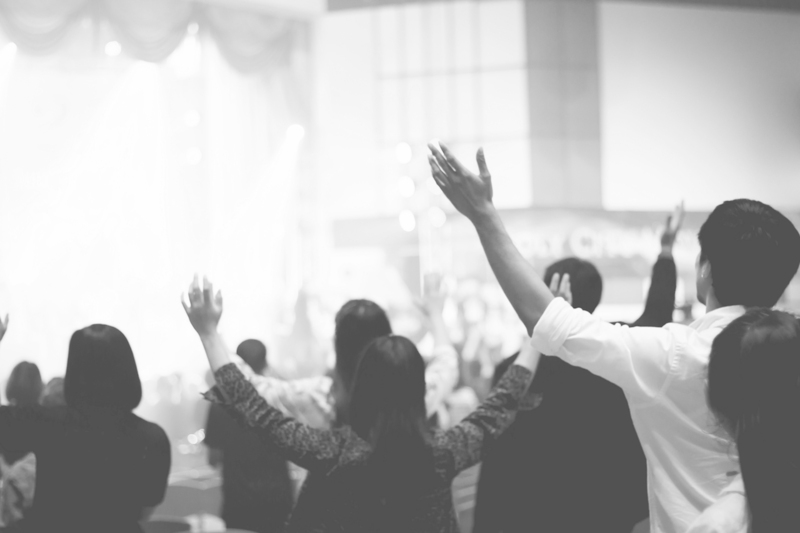 Some are finding it in megachurches and others in liturgical traditions, others are changing denominations or sticking with the congregation they’ve been a part of for the last 25 years. Maybe this is how it’s supposed to work. Me, I’m attending a megachurch. Sometimes I feel jaded by its size and the elaborate spectacle I witness every Sunday morning—there’s a movie-type trailer for the sermon, and more lights, camera, action than I’ve ever seen at church. RELATED CONTENT: When Will the Church Answer the Call of Those Struggling with Mental Illness? But, on the other hand, a few weeks ago this same church had a musical instrument drive and delivered four Uhaul truckloads to the local school district—almost 600 instruments total. These instruments will be distributed to schools in the area and given to students who need them. The resources and generosity of this congregation are incredible. One day I’ll find a more intimate, contemplative setting for my Sunday worship. But I’m a Christian because I believe in Jesus, not pews or specific liturgical readings. At its core, Christianity is about participating in the Kingdom of Heaven. This looks different now than it did when Jesus walked the earth, and it will continue to change, but that’s ok. As long as Christ is at the center of what we’re doing, kingdom work will be done.